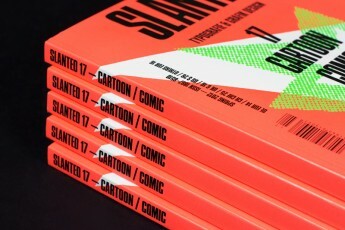 Along with the New Year, the first Slanted issue of 2012 has a new face. A new oversized format, 16 more pages, and a more tightening sequence in content and layout to create more space for projects and activities. Ken Johnston of Corbis (New York) dipped into the archives and retrieved a grotesque photo story of the atomic bomb experiments in a patriotically charged world brought to light – Doom Town, a dark comic, the best stories are real life experiences. Patrick Tsai (Tokyo) leads a photographic diary – Talking Barnacles, is a story in image sequences combined with very personal lyrics. We are pleased to present a number of readable essays and reports: Motorscream Landscapes – Über die Schrift in der grafischen Literatur by Alexander Negrelli (Berlin), Geliebt und gehasst: Comic Sans by Rieke C. Harmsen (Munich), Manga & Graphic Design, Hands On und Where The Wild Things Were by Ian Lynam (Tokyo), PAT! BON! DOKAAAN! – Schriftgewitter und Lautmalerei in asiatischen Bildgeschichten by Steffen Zillig and Sohyun Jung (Hamburg), Something like Max & Moritz – Vom Erfinder des Comic by Tim Eckhorst (Kiel), A very subjective and casual comics overview from Greenpoint, Brooklyn, NY 11222 by Paul Hoppe (Brooklyn NY), Survival is possible by Michael Schmidt (Munich) and Sans Comique by Frank Wiedemann (Berlin). Furthermore, interviews with Nora Krug (Brooklyn NY), Dirk Rehm (Berlin), Alessio Leonardi (Berlin), Fred Smijers (Antwerp) and Matthew Carter (Cambridge) with insights into their living and working environments. 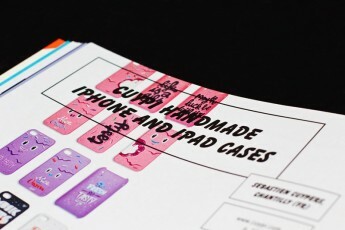 Also the appearance of the new magazine is marked throughout the comic book world. 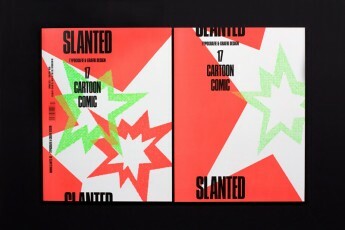 The eight-page fold-out cover glows in red and green on the outside, while the inside are comments of readers from our blog www.slanted.de, which were posted online last November.